Dublin City Council has nominated David Norris as a Presidential candidate, giving him the fourth council nomination he needed to get on the ballot. Earlier, Dana Rosemary Scallon was nominated as a candidate for the Presidential election by Offaly County Council. The nomination is her fourth and means her name will be included on the ballot for the Presidential Election on 27 October. Carlow, Roscommon and Donegal county councils had already given Ms Scallon their support. Four councils or 20 Oireachtas signatures are required to secure the nomination. The nomination was proposed by Independent Cllr Johnny Butterfield. In moving the motion, the councillor had strong criticism for the national media - in particular RTÉ. He said RTÉ had shown great bias to David Norris. He claimed the Senator had featured on "every news and current affairs programme as if there was no other candidate". The councillor also criticised the Mr Norris interview on the Late Late Show and said: "It was obvious he knew the questions in advance and had his answers prepared". Before making his comments, Cllr Butterfield said while he was supporting Dana for the Presidency, he would not criticise any other candidates in the field. Speaking after securing the support of Donegal County Council this morning, Ms Scallon she was very moved by the members' generosity and words of encouragement. Ms Scallon said their support was "not just for me but also for the role and the democratic process itself". Ms Scallon also received the support of Longford County Council at a meeting this afternoon. Earlier today, Waterford City Council became the third council to nominate Mr Norris. The Senator got six votes, with three against and five councillors abstaining. He already had the support of Laois and Fingal county councils. Afterwards Senator Norris said he was "absolutely thrilled and over the moon. I believe I will be the next President of Ireland". He said that he was very proud of Waterford City Council and that he has always loved Waterford. Mr Norris said he had always supported the people, particularly Waterford Glass, and he was delighted to see this coming back in a certain way. When asked was he playing politics with his comments about loving the city and the county he replied: "I love this country and always have done and I don't just love this country, I am in love with this country". 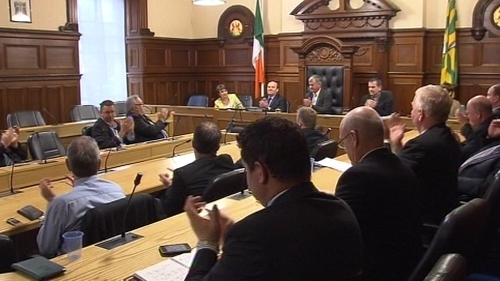 Councils in Cork and Westmeath also met earlier today. Cork County Council voted against Mr Norris' nomination by 20 votes to nine and Westmeath County Council voted against nominating Ms Scallon by ten votes to nine. Longford County Council Chairman Frank Kilbride said he was sorry that at this late stage the council could "do nothing for David Norris". He said that having met with the county manager earlier today, he was told that local authority members could not legally support Mr Norris because of tomorrow's midday deadline on nomination papers. Labour candidate Michael D Higgins had recommended to Labour councillors on Dublin City Council that they facilitate the entry of Mr Norris to the Presidential race. "Given the prevailing circumstances and bearing in mind that I have consistently described the nomination criteria for the Presidency as outdated and in need of review, I believe they should not seek to obstruct the entrance of David Norris as a candidate into the field," he said. This evening 30 councillors supported Senator Norris, six voted against him and 11 abstained. 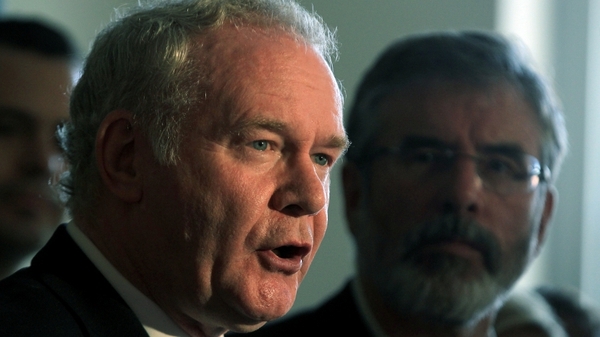 Sinn Féin Presidential candidate Martin McGuinness has strongly criticised the nomination process, saying the past few weeks had been a debacle. He said the people should be able to nominate candidates, rather than just Oireachtas members and councillors. Mr McGuinness said candidates such as Ms Scallon and Mr Norris should be in the race. Mr Higgins also criticised the nominations procedure, calling it archaic. He said the Convention on the Constitution should look at it and he imagined it would change.